Google Home Max vs Google Home Mini vs Google Home: What’s the difference? 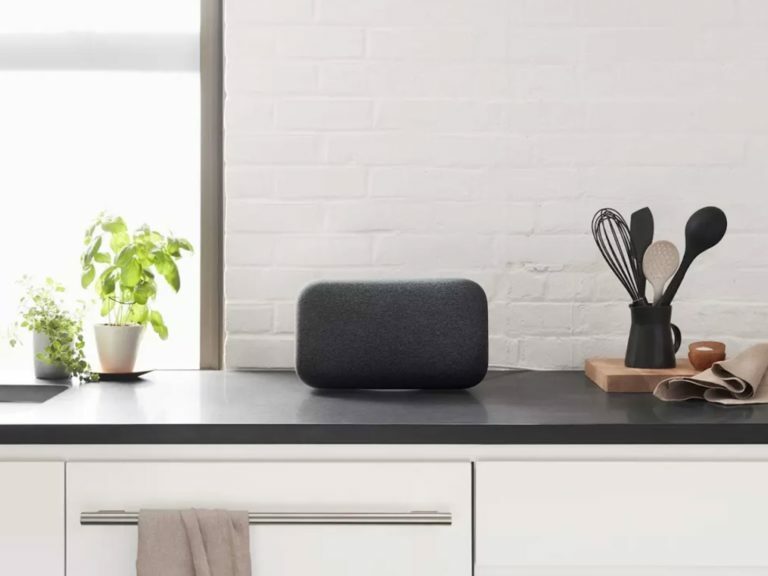 After releasing a lone Home smart speaker in 2016, Google added two new products to the mix in 2017 in the form of the Home Mini and the Home Max. 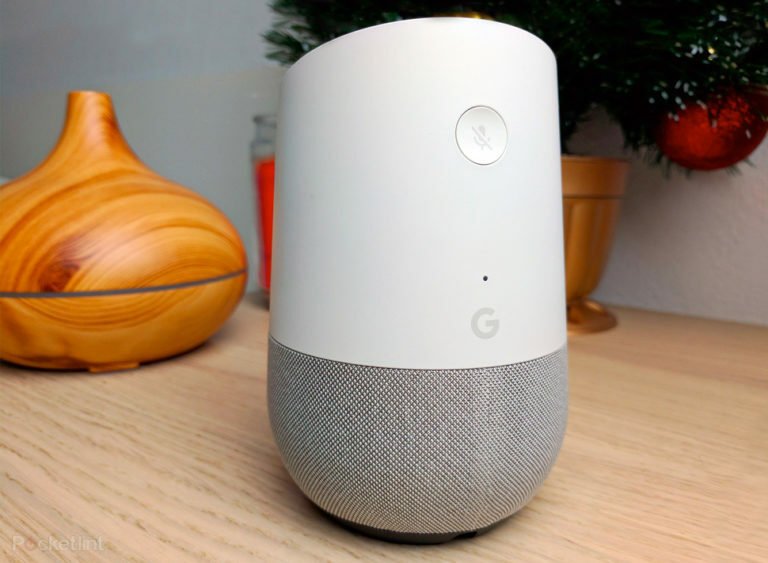 While they may all have Google Assistant built in meaning they can carry out the same tasks, they have very different designs and specifications which will determine where you put them around your home and what you use them for. Here’s everything you need to know about Google’s trio of Home speakers to help you work out which Google Home is right for you. The Google Home Max is max by name and max by nature. It’s been designed to be the life and soul of a party, delivering high-quality sound that can go loud when you need it. We haven’t been able to hear it yet, so can’t vouch for Google’s claims, but considering the sheer size of the speaker, coupled with the drivers and Google’s audio processing, we certainly have high hopes for it. As it’s on the large size as far as wireless speakers go, finding a home for the Home Max could be tricky. We imagine most people will put one in their living room or bedroom, or multiple speakers around the home to create a full multi-room system. The Home Mini is, at its name suggests, rather small in size. 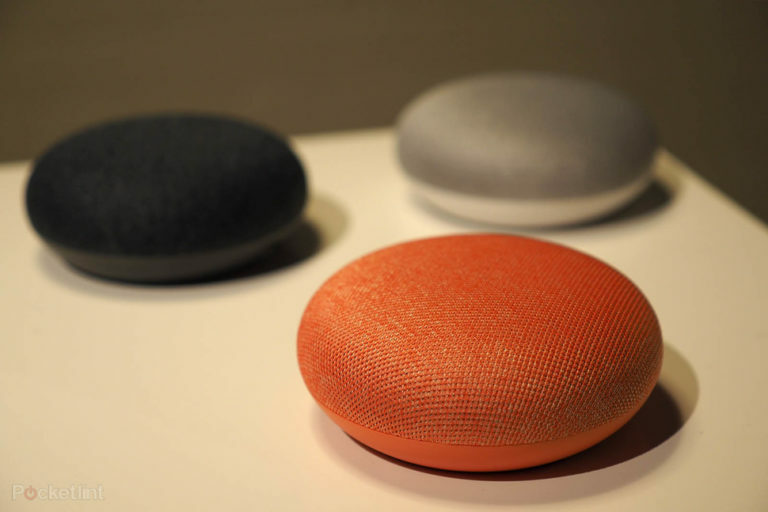 Like the Amazon Echo Dot, it’s a small puck-like device that is available in three colours: chalk, charcoal and coral, but unlike the Home, the fabric covers aren’t interchangeable. 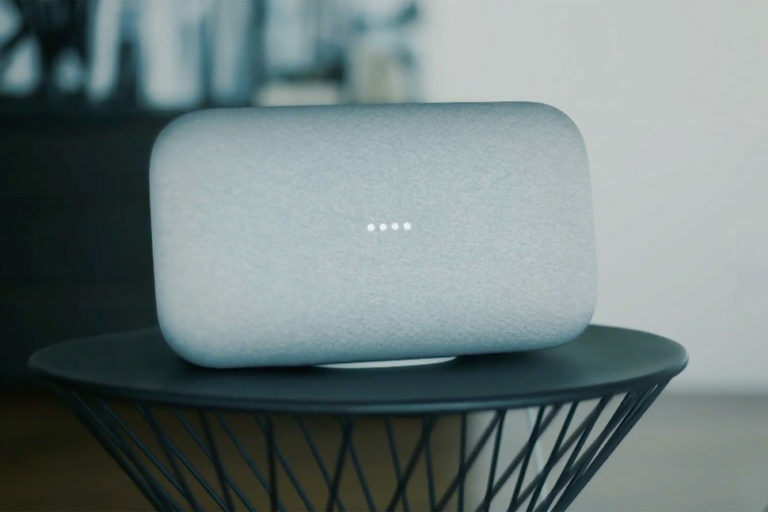 There are various touch-sensitive points all over the Home Mini: a tap on the top will play/pause music while a long press will activate Assistant, a tap on the right will turn the volume up while a tap on the left will turn it down. The Google Home is the ‘regular’ sized version in Google’s repertoire. It’s the original member and the one that will likely be most popular with consumers because of the way it blends style and function. It sports a design that’s reminiscent of an air freshener, with a slightly bulbous bottom that tapers in towards the top. On the angled top of the Home there is a touch-sensitive surface that can be used to control a variety of functions. Its versatile design means it can be placed in your living room, kitchen, bedroom or virtually anywhere else that would benefit from a voice-controlled assistant. It’s sound quality is good, but nothing to shout home about, so you likely won’t be using it as your main party speaker. 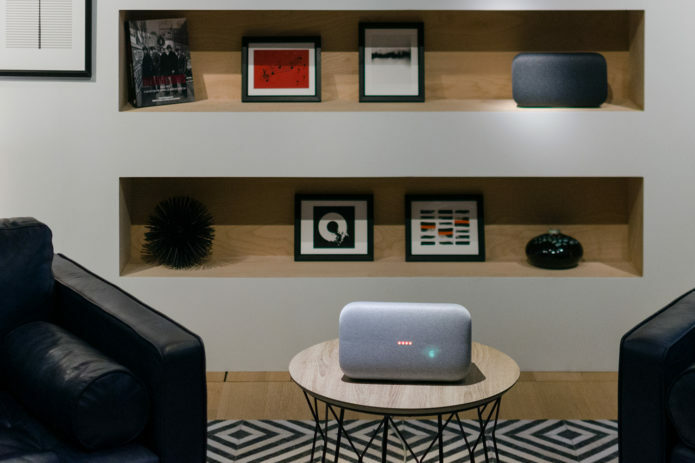 The Google Home Max looks set to be a seriously powerful speaker, which when combined with Google Assistant could make it the only one you need in your home. Unfortunately, you need to live in the US to be able to get one at launch. It will be coming to the UK in 2018 though. The Google Home Mini is small and cheap enough to go into any home. It has the same power and features of Google Assistant as its larger siblings, but in a much more manageable size. The Google Home meanwhile is the original and, in our view, the best of all worlds. It can be used to control all manner of smart home products (like the other Home speakers) but has a decent-sized speaker to cater for the majority of audio tasks. Better yet, it’s available right now in the UK and the US.